can i get in on the list? this is my first build so i want to her feedback. Heck yes you sure can! i`ll copy the pics and make a slide for ya. Gimmie a day or two. Is it all done complete, painted & assembled ? all done, just got to fiddle with the propane burner to get it to burn the way i want it to. Check out the rgwiazdzinski build. Very nice Bobby... heck its got everything even the kitchen sink!!! 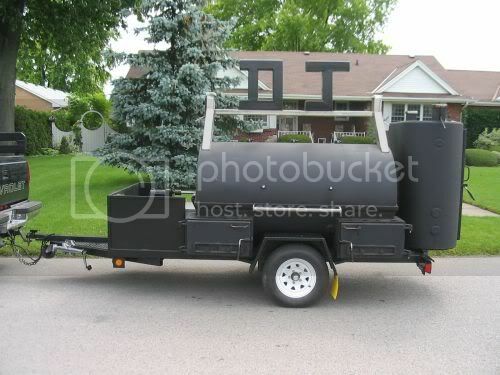 Added Smokin Don`s pit to the list take a look he finally got it paint and it looks sweet, very well built! 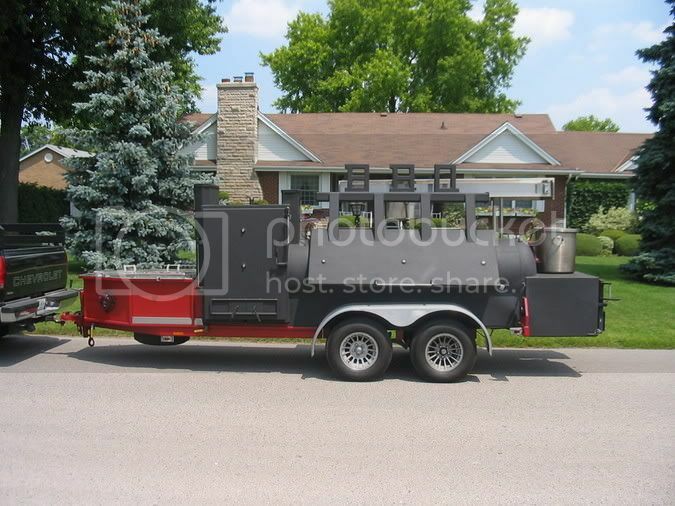 Hey jeff do you have room for a home built 12 shelf rotisserie slide show? Sure do.......... send me some pic`s i`ll get it posted. Here lets just do it this way, we`ll cheat a little... ill use the link to your pre-made slide show instead of sending me the pics. 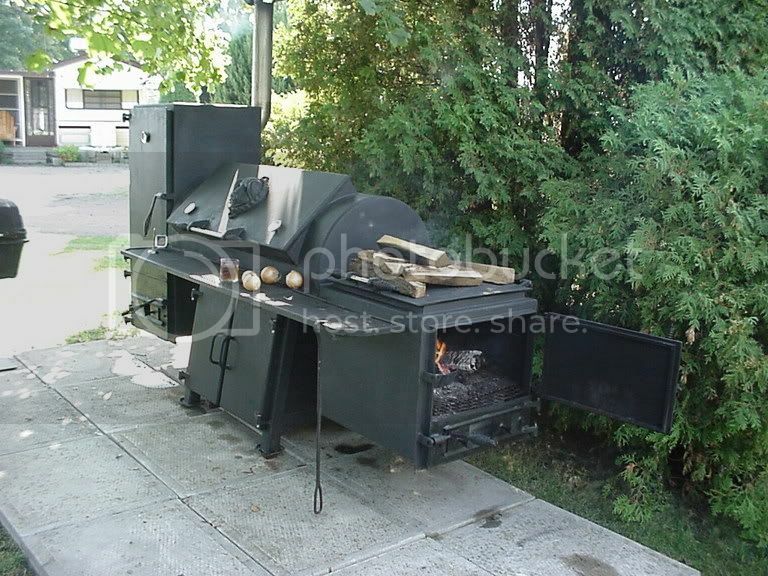 Added Cranky Buzzards smoker build to the list. Newest one for 2009 on the list. Nice shop too. 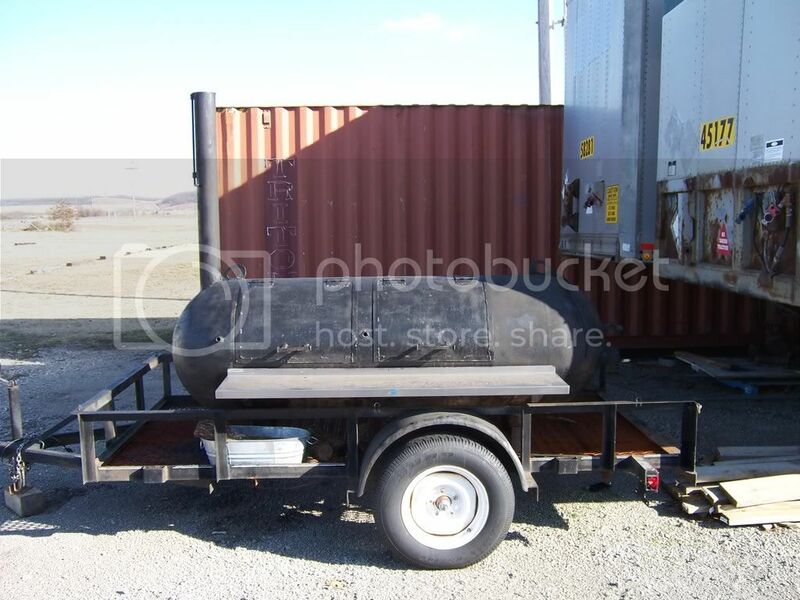 Makes it a little easier when ya have the shop space & tools to build your own smoker. Here's some of my pit building projects. I've been promising pictures so here they are. It's simple yet functional and I still have some work to do to it. Enjoy and I welcome any comments. Is there any way to see the pictures in those slideshows just as pictures, not as some annoying Flash video? Nope.... once they are slides i don't think one can separate them. If your looking for a certain picture of a certain type of cooker and its one of the slide shows, PM that owner to see if they would email. I`m sure they would, great bunch of people here having fun and helping others. I have updated the list again. 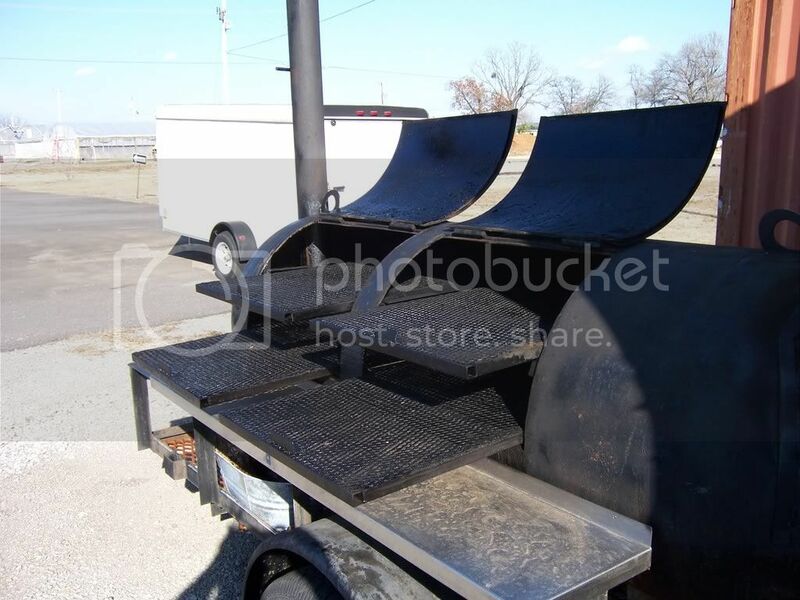 Check out his real nice smoker, he done did a fine job!!! Added American West`s new pit to the list. Check out the color it looks sweet!!! A few finishing touches and he`s havin` a party & we are all invited over for a hog roast!!! 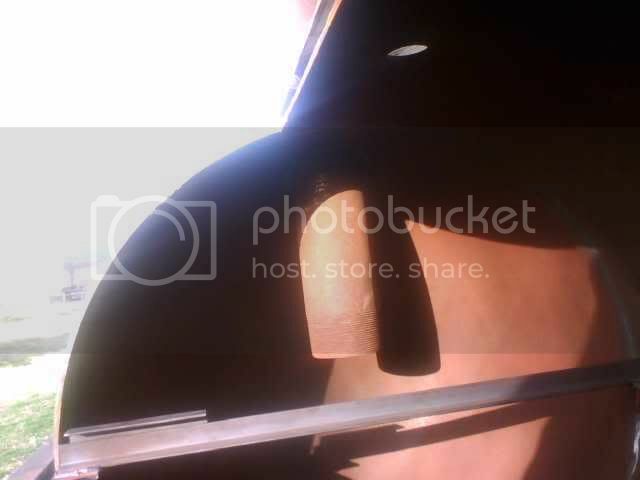 Posted: Sun Jul 19 09 2:57 am Post subject: Re: What About Us? Let me know what you all think!!! Save the planet: it's the only one with beer! Picked her up in Sikeston Missouri on Feb28th 2010. 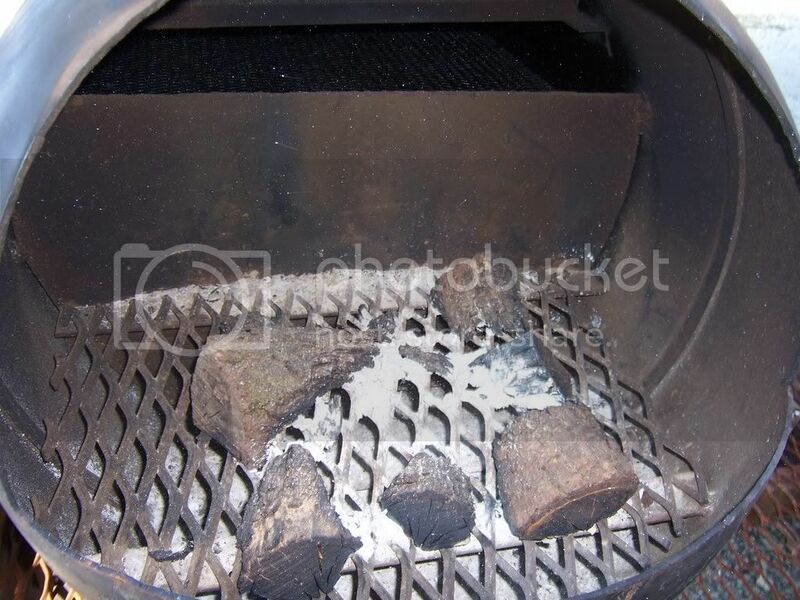 48 inch gas burner below the fire grates so I can use gas or wood/charcoal or a combination of both. 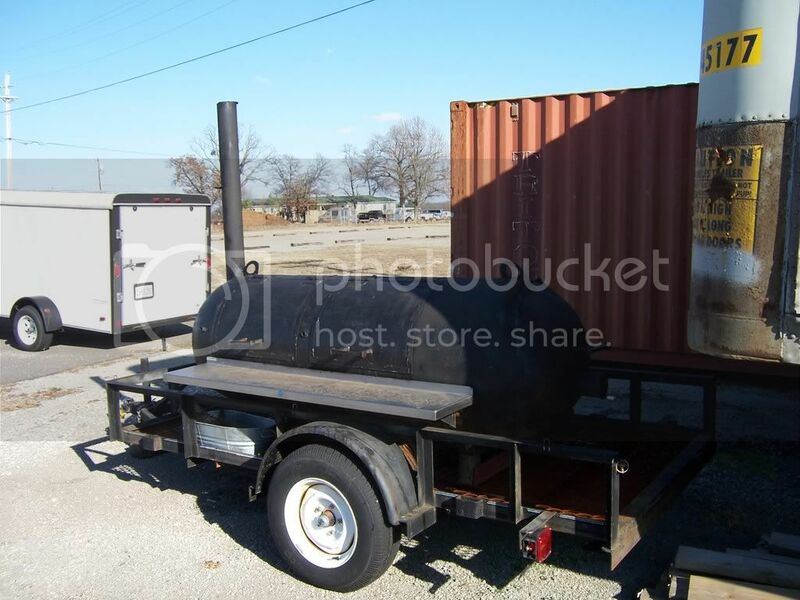 Can't wait to start pumping out the Que this summer. I really hate the slide shows of the cookers I can study them long enough to learn anything. May the smoke always caress your meat in a manner that brings a smile to your face. I hear ya... they are small pics that go by too fast which makes it very hard to take a good look. Besides that some slides don't work half the time... bet the guy that spent all that time collecting them get`s really tired of trying to maintain such a mess. Yes, Maintaining that much info/pics must be crazy. My hat is off to the Guy.